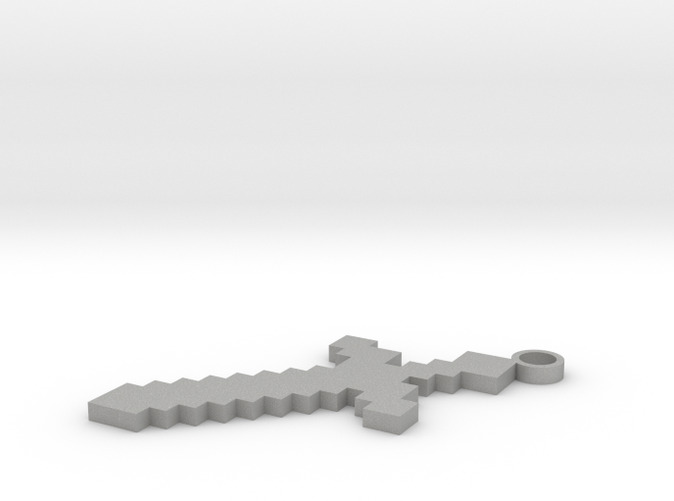 This minecraft sword is 4cm long. It also has a 5cm diameter ring to put a chain through to create a necklace. We also have another design without a ring.